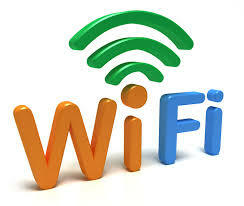 The demand for Hotspot distribution is one of popular services client wants. This service is easy to setup using mikrotik router all you need to do is to follow my previous post on how to setup Hotspot on mikrotik routers. Hotspot features on mikrotik routers have drastically reduce the administration efforts in cabling around the buildings. In a simple term MikroTik router Hotspot Gateway is a measure taken to authorize the appropriate network clients to access local network resources as well as public network resources through MikroTik router. As soon as a Hotspot is setup, a user or client can only authenticate using almost any web browser. Actually I have setup a Hotspot on my previous post so here am going to customize the already running hotspot. All you need to do is to read on if you want to know how to optimize your organizational hotspot. Login into your winbox then Click on Files menu. You will find several of Hotspot files . look for the one that says hotspot/login.html file and then drag and drop it to your Desktop. For editing login page, you just need some HTML and CSS knowledge. If you don’t have enough knowledge on HTML and CSS, hire an expert person who knows HTML and CSS or you can contact with me @ techsfair1@gmail.com and I will customize your login page as your demand. When finding your way in customizing your hotspot you can also enable trial login in your Hotspot server which will allow users to login to Hotspot without authentication and these free users can use internet for a period of time that you will assign. Click on IP > Hotspot and click on Server Profiles You will find a default profile as well as another profile that was created while installing Hotspot server. Double click on the newly created profile. Hotspot Server Profile window will appear now. Click on Login tab and then click on Trial checkbox. Now provide trial user uptime limit that means how much time any user can use internet with this trial service, in Trial Uptime Limit input box. Default time is 30 minutes. Now provide trial user uptime reset time that means how much time later the user can again access internet with this trial user feature, in Trial Uptime Reset input box. The default time is 1 day. Now choose the trial user profile from Trial User Profile drop-down menu. Click Apply and OK button. Click on IP > Hotspot menu and click on Walled Garden IP List icon. Click on (+) to add a new walled garden IP entry. New Walled Garden IP Entry window will appear now. Click on accept radio button from Action radio button group. Choose your active Hotspot server from Server dropdown menu. Now put your desired server IP which you want to allow publicly in Address input box. In some organizations you might not want the top managers to authenticate into the network befor having access; all they need is direct access maybe as a sign respect. Don’t worry MikroTik Hotspot has a feature to bypass special user without authentication. Collect MAC address of your desired user. Go to IP > Hotspot menu and click on IP Bindings tab. Click on (+) to add a new IP Bindings. New Hotspot IP Bindings window will appear. Put user MAC address in MAC Address input box and choose bypassed option from Type dropdown menu. MikroTik Hotspot allows you to create different user profile. It also allows you to do advertisement according to different user profile that means you can advertise different ads to your different user according to your user profile periodically. If you wish to advertise different ads according to your user profile, follow below steps carefully. Go to IP > Hotspot menu and click on User Profiles tab and then double click on any user profile that you have created before. Hotspot User Profile window will appear now. Now click on Advertise checkbox. In Advertise tab, check the Advertise checkbox and provide below information. Advertise Interval: Period of time to show advertisement. If you wish that after every 30 minutes ads will be showed, put interval as 00:30:00. Advertise Timeout: How much time the ads will be shown. If you wish that ads will be disappear after 1 minute, put timeout value as 00:01:00. After this configuration, your Hotspot user can be shown the ads that you have specified here within the time interval that you have provided. How to properly Configure Mikrotik Hotspot with Data Limit and Prepaid Billing System Part1. How To Generate Multiples Users and Creating Paper Voucher On Mikrotik User Manager ( HotSpot). MikroTik User Manager RADIUS Server. [Customers, Users and Routers]. How to properly Configure Mikrotik Hotspot with Data Limit and Prepaid Billing System Part 2. ← How To Configure Hotspot On mikrotik Routers.